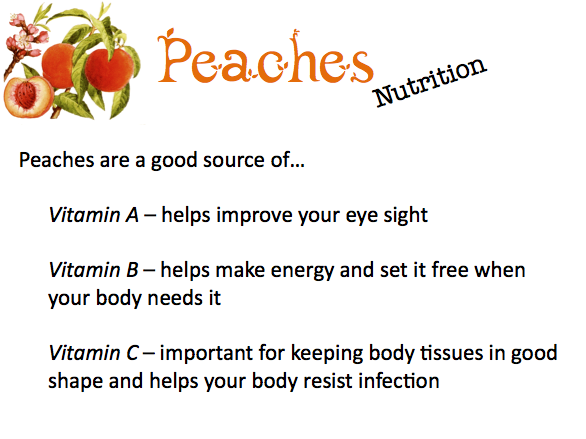 The produce of the month for August is peaches! 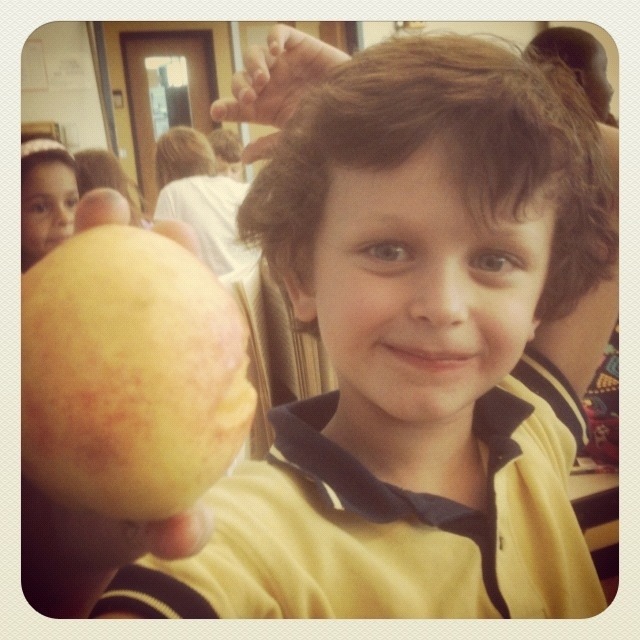 Our fourth and fifth graders did some research on peaches and found tons of interesting facts. 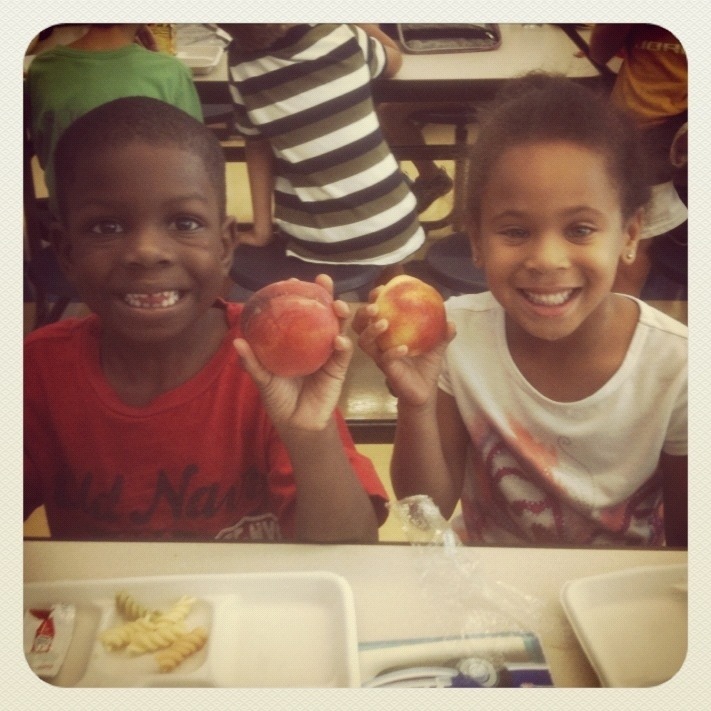 They created a display in the cafeteria for everyone to view on our Produce of the Month Family Day. 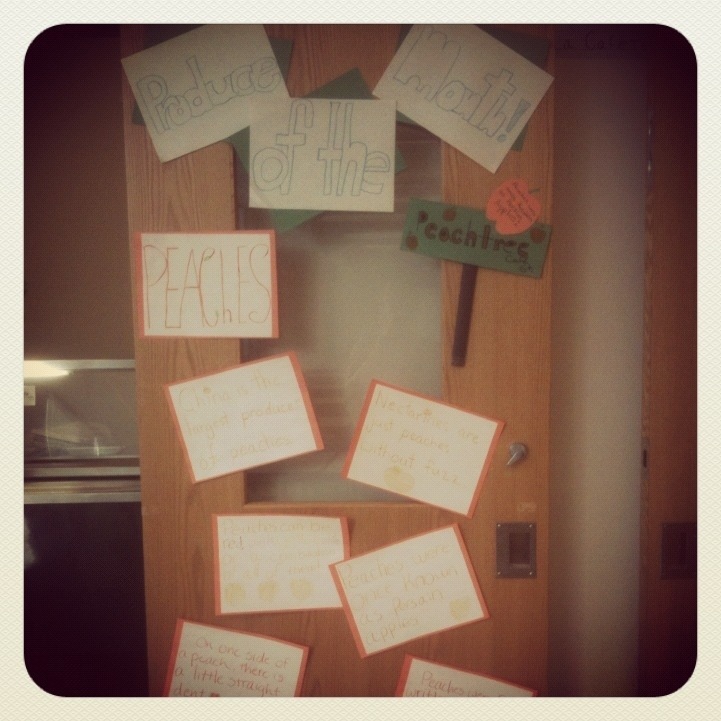 I organized all of the information they gathered into posters to share. 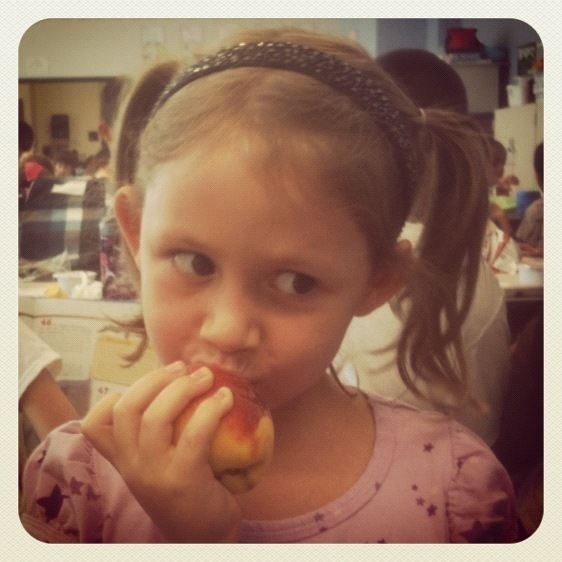 Click the preview below to see a PDF of the posters. 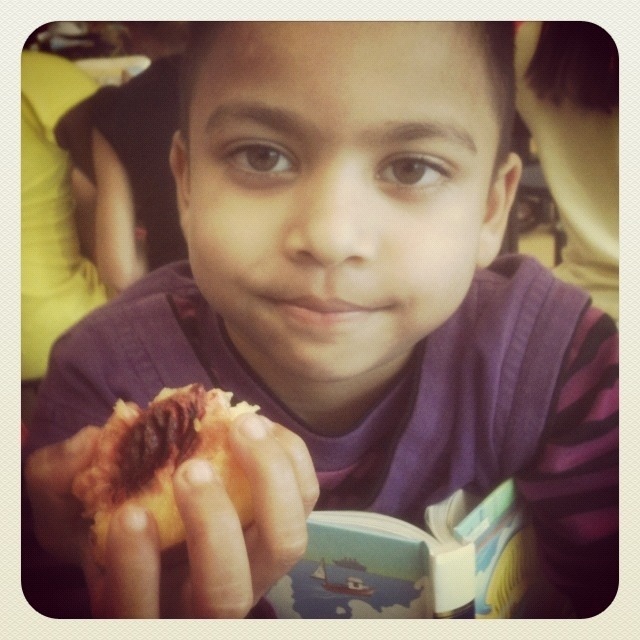 Fresh for Kids (out of Australia so growing information does not apply). 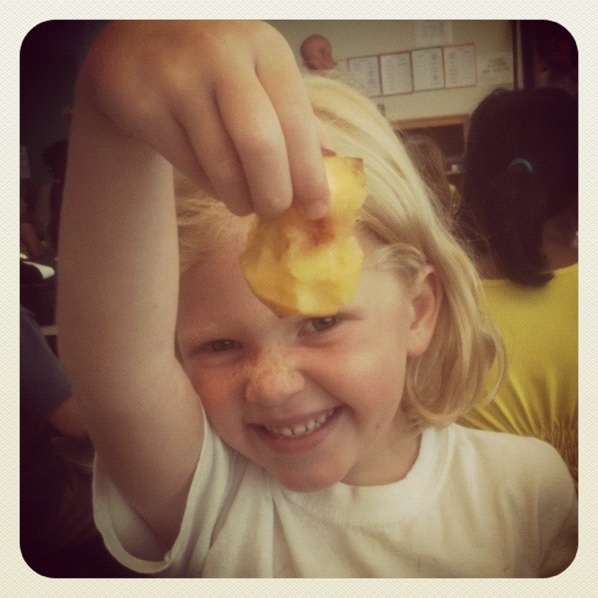 Fruit Corp Fresh Kids Club (good for younger learners). 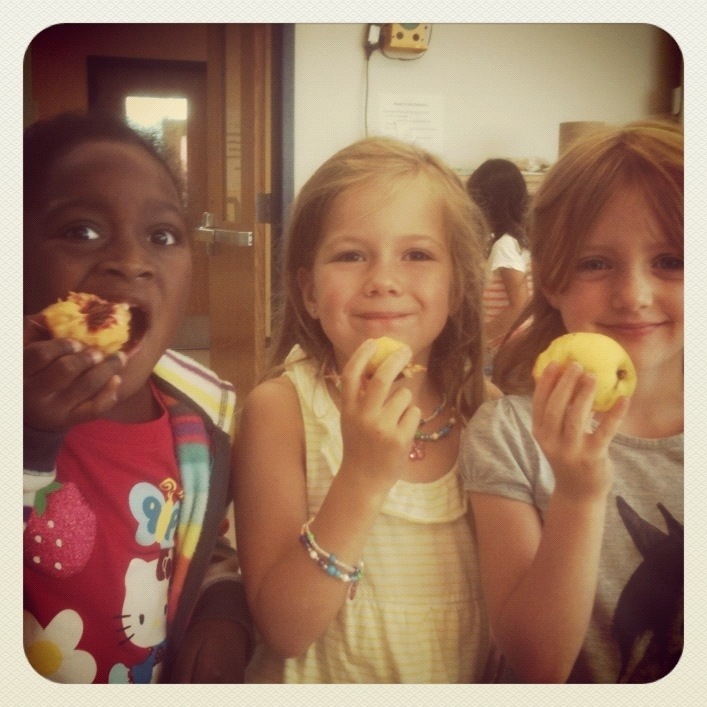 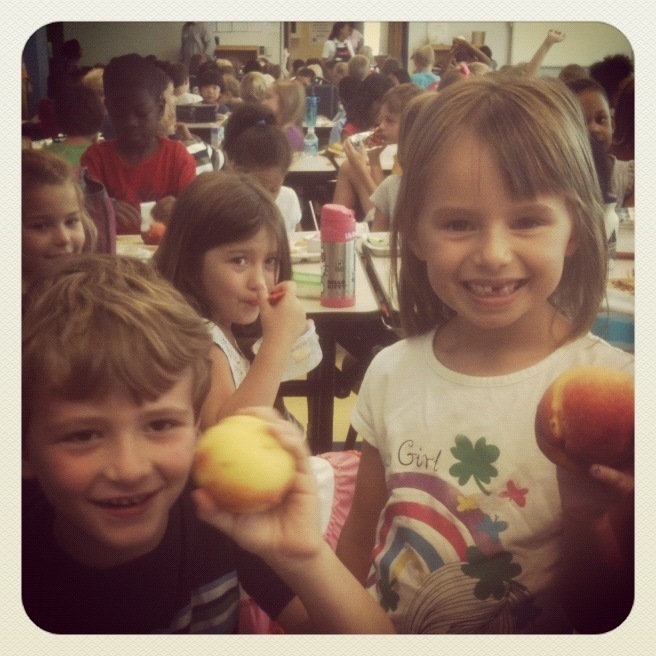 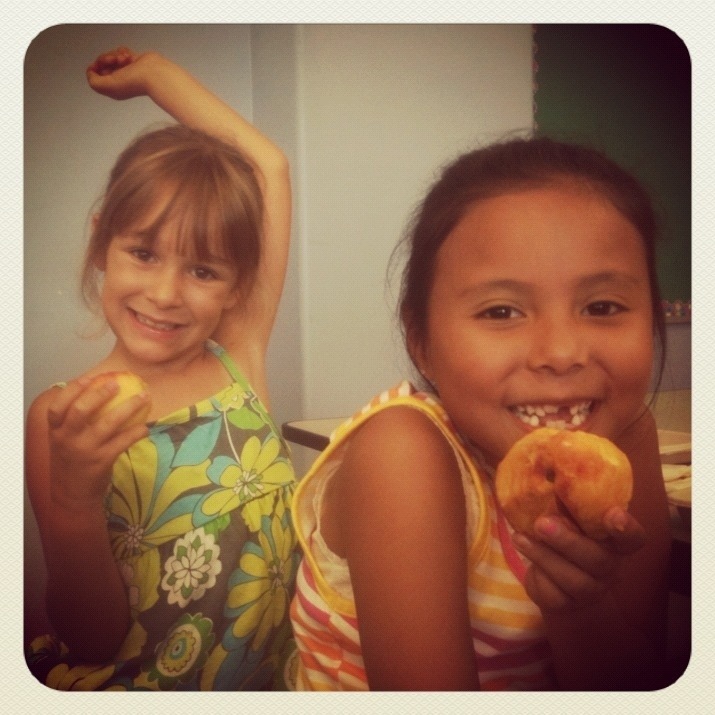 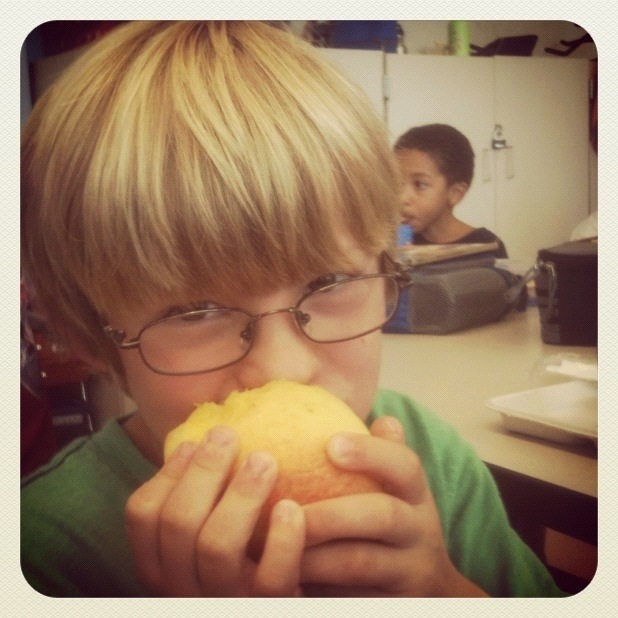 Check out some of the photos of our kids enjoying peaches during our Produce of the Month Family Day!